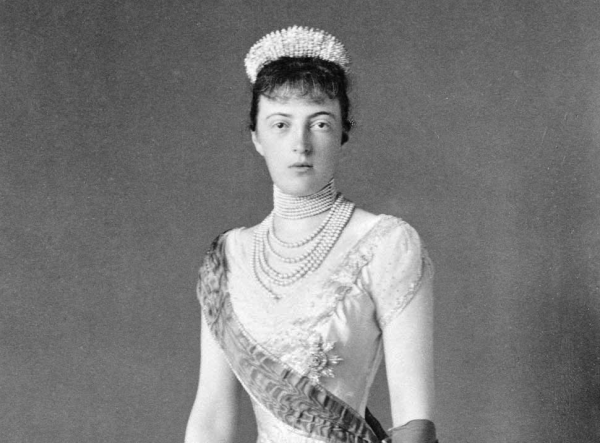 The brooch, which was made by Fabergé, was commissioned by Tsar Nicholas II and Tsarina Alexandra Feodorovna of Russia to celebrate their coronation in 1896. The firm constructed the brooch out of gold and set it with 137 diamonds, including two that measured more than 6 carats. Eighteen were made and presented to the grand duchesses attending the festivities. One of them, Grand Duchess Anastasia Mikhailovna, was the mother of the Queen Alexandrine of Denmark. Alexandrine inherited the brooch in 1922. The brooch was bequeathed by Alexandrine to her son and daughter-in-law, Hereditary Prince Knud and Hereditary Princess Caroline-Mathilde. In turn, they passed the brooch along to their only daughter, Princess Elisabeth. She wore the brooch often at grand gala events in Denmark until her death in 2018. 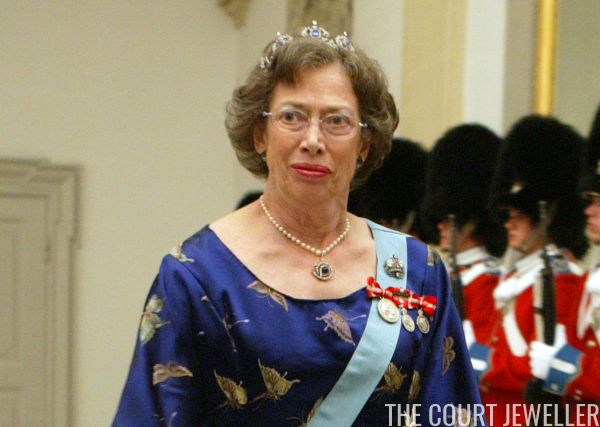 In her will, she bequeathed the important brooch to the Danish Royal Collection, to be housed at the Amalienborg Museum. The acquisition was revealed in the royal collection's annual report, which was recently shared at the Royal Jewels of the World Message Board. Along with the brooch, she also left other items to the royal collection, including a bracelet decorated with portraits of King Frederik VIII and Queen Lovisa. 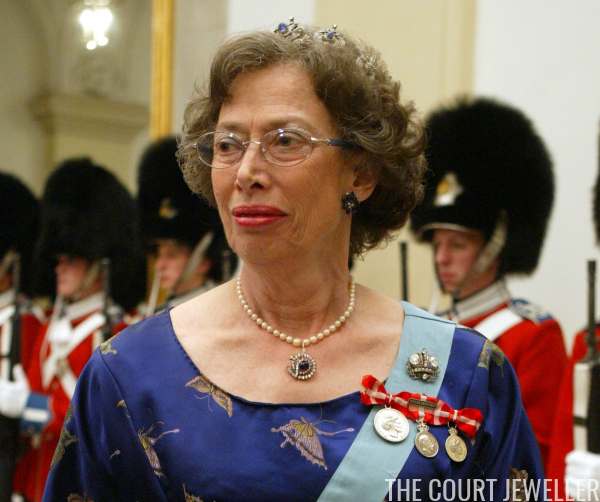 The report highlights the significance of the brooch -- only three of the original eighteen are still known to exist -- and its links to the Russian imperial heritage of the Danish royal family. 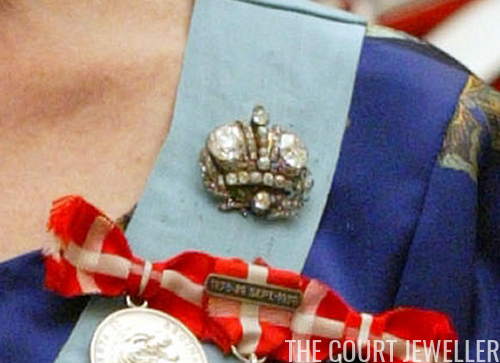 The brooch will reportedly go on display at Amalienborg some time later this year.